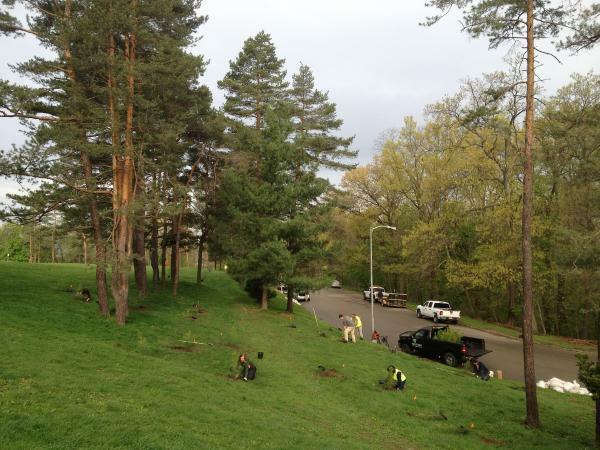 This spring, Tree Pitts­burgh is work­ing with Alleghe­ny Ceme­tery to plant a few dozen balled & burlapped trees. We need vol­un­teer help to beau­ti­fy this 300-acre site! Reg­is­ter today and start your Arbor Day Month with a tree plant­i­ng. Break­fast snacks will be pro­vid­ed. Tools will be pro­vid­ed by Tree Pitts­burgh. We ask that vol­un­teers bring their own reusable water bot­tle and wear long pants and close-toed shoes.